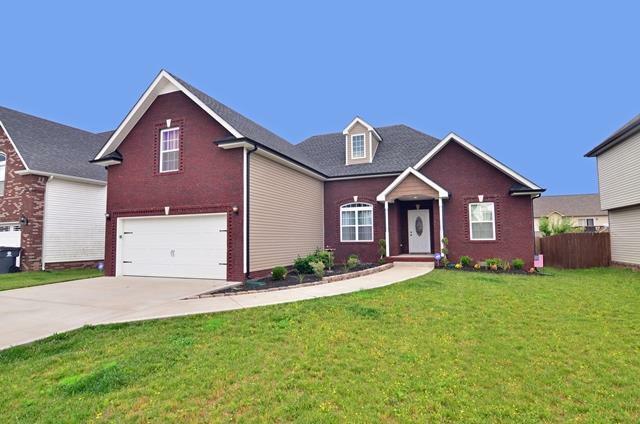 Stunning home close to Ft Campbell and I-24! Paint has been freshly updated. Large open living room and formal dining area. Tile backsplash in the kitchen. Covered back deck. HUGE bonus room. Spacious bedrooms w/ double closet in the master. Wood flooring in the living room and tile in the baths, kitchen & laundry. Privacy fence. Don't miss this one! Ashley is not only a sweet and caring person, she’s a hard worker, and will help you in any way she can. Believe me when I say she will go above and beyond for you. I highly recommend her for any real estate needs you may have. Melissa W.